The title track of ‘Knights of the Sun’ is ‘O Sole Mio’, which means ‘oh my sun.’ This song describes a story about members of SF9 as nine knights guarding the sun going to find the lost sun. The song has become more mature but still has innocence of the boys pursuing ideals. 데뷔곡 ‘팡파레’에서의 패기 넘치는 아이들, ‘부르릉’의 폭발하는 청춘, ‘쉽다’의 상처받은 소년. 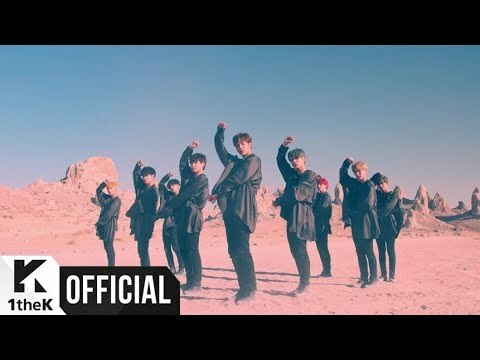 소년과 남자의 경계를 아우르는 매력으로 사랑 받고 있는 그룹 SF9이 세 번째 미니앨범 ‘Knights of the Sun’을 발표했다. ‘Knights of the Sun’의 타이틀곡은 ‘오 나의 태양’이라는 의미의 ‘오솔레미오 (O Sole Mio)’다. 이 곡에서 SF9은 태양을 수호하는 아홉 명의 기사로 분해 잃어버린 태양을 찾아 나서는 이야기를 그렸다. 이전보다 한층 성숙해졌지만, 이상을 좇는 소년의 순수함을 여전히 간직하고 있다.